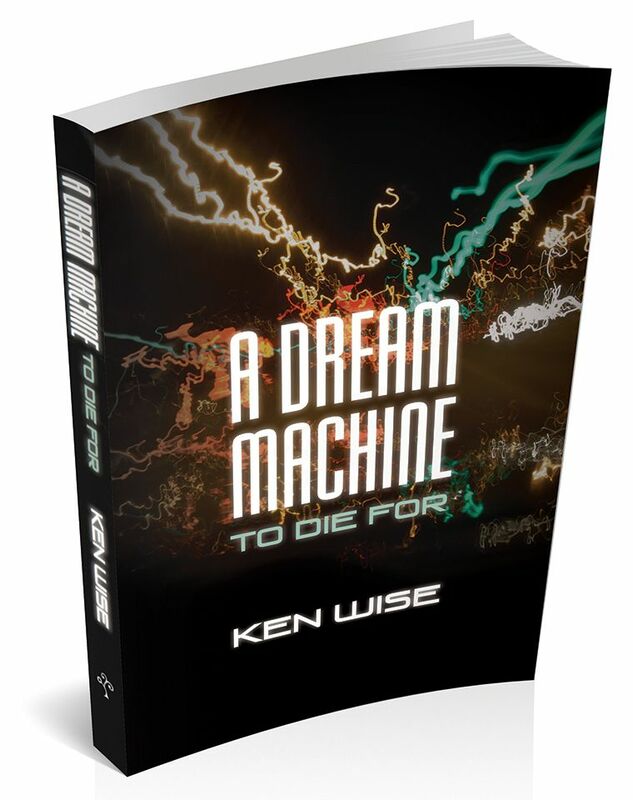 A futuristic page-turner from North Bristol's local author Ken Wise. John and Philip, joined by Philip's half-brother Ray Barone, begin working together to perfect a newly invented machine that allows people to travel through time back to their past – the Dream Machine. However, the machine turns out to be more than Philip bargains for as the inventor of the machine's body is soon found in the River Thames. This is the first of many deaths that will haunt the three men as they run from those who want the machine for devious purposes. As Philip embarks on an adventure of a lifetime, he is forced to wonder whether it really is A Dream Machine to Die For. There is a song with the lyrics 'words come easy'. Words did not come easy to Ken Wise until rather late in his life – in retirement to be precise. Despite that, Ken felt inspired by the adventures he'd had spending the early part of his life in the United States Air Force. Circumstances then led Ken to move to Spain, where he decided to write first novel, A Limey in the Court of Uncle Sam. Ken consequently became hooked on the written word. He has since written two novels, one being Estate Agents Beware, a refreshing contrast to his first book.